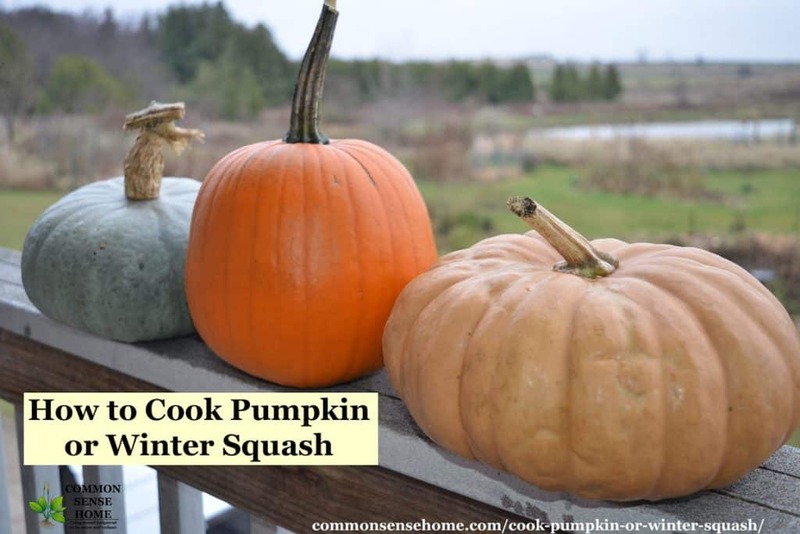 Use winter squash instead of pumpkin. Yes, I know this sounds like cheating, but most of them are the same species, just different varieties. (More on that here.) 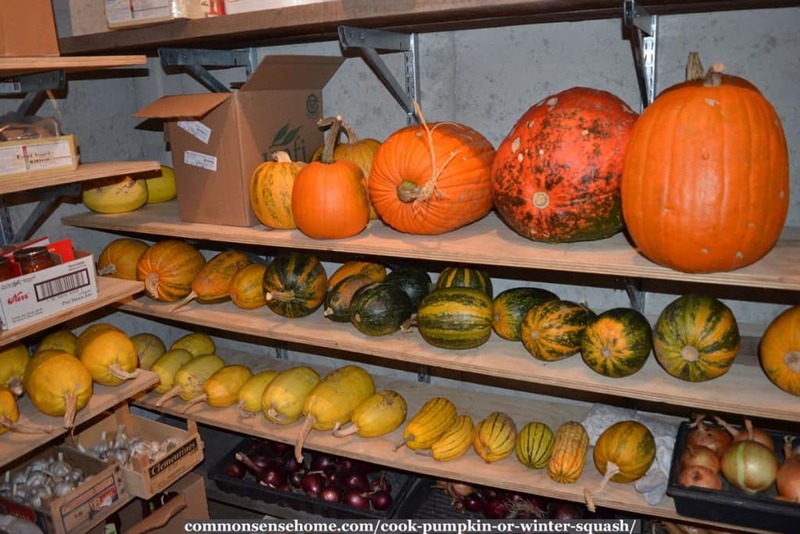 As, you can see in the video below, winter squash typically has darker, denser, sweeter flesh. Pie pumpkins are a little better than jack o' lantern pumpkins, but still not as good as squash. I reserve the giant jack o' lanterns pumpkins for livestock feed. Bake or roast the pumpkin instead of boiling. The only reason I'd cook a pumpkin on the stove top was if I didn't have an oven. Boiling tends to make the flesh more bland and watery. If you have watery pumpkin, line a colander with a flour sack towel or cheesecloth and drain the pumpkin puree for a few hours or overnight. This will get rid of excess liquid and concentrate the flavor of the pumpkin. 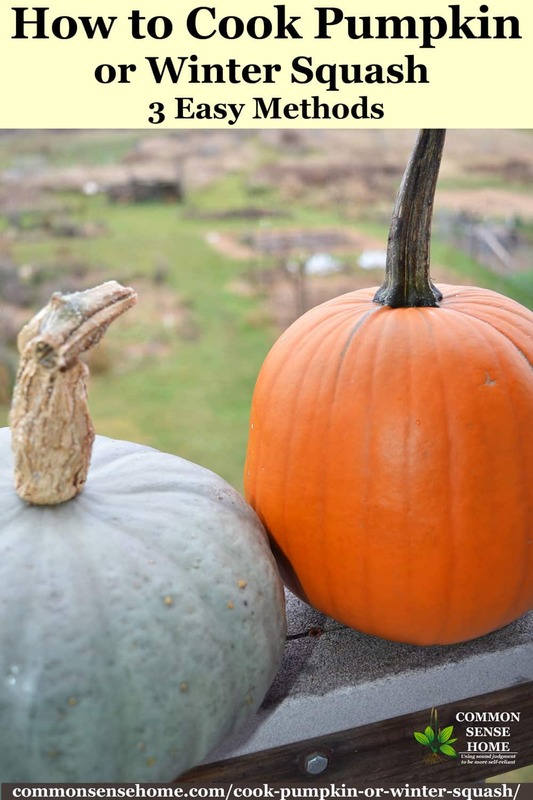 You can drink the pumpkin water, compost it, or feed it to pets or livestock. Baking pumpkin or squash in the oven in the option is the option I use most often. It's easy. Cut pumpkin in half and remove seeds and strings. Place pumpkin halves cut side down in roasting pan and add about 1/2 inch (1.5 cm) of water. Place pan in pre-heated oven and bake for about 45 minutes to one hour, until you can easily pierce the flesh with a fork. Remove from oven and let cool enough to handle. Scrape pumpkin out of skin and mash or puree for use in recipes. Can you put a whole pumpkin in the oven? Yes, you can cook pumpkin whole – just cook it a little longer. I'd rather remove the pumpkin guts in the beginning than fish them out of mushy cooked pumpkin at the end of baking, but to each their own. If you don't have access to an oven, you can cook pumpkin on the stove top. Cut pumpkin into chunks and peel. Place pumpkin chunks in a large saucepan or stockpot and fill with enough water to cover bottom of pan/pot. Cook pumpkin on low for about 25-30 minutes, stirring occasionally, until soft. 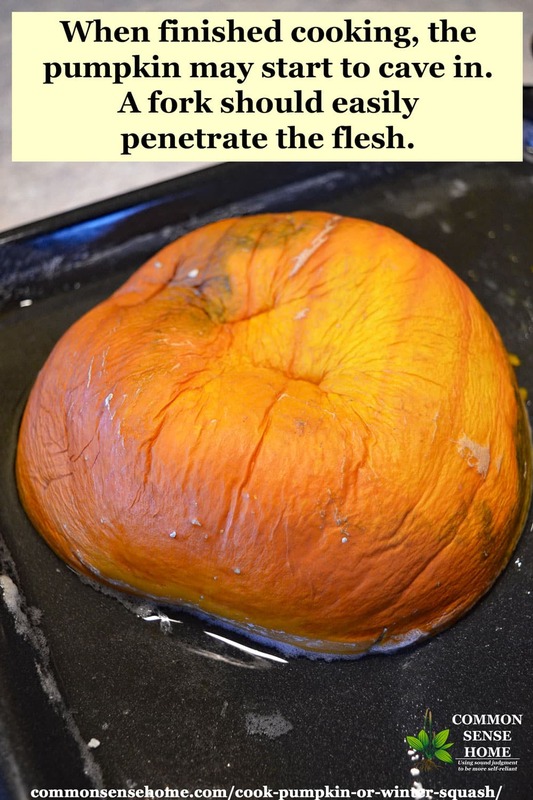 You may also mash the pumpkin right in the pan and cook off excess moisture. Strain to drain off excess liquid if needed, cool and puree. I'm not much of a microwave cooker myself, but I know some folks use them for everything. The drill for microwaving pumpkin is similar to other cooking methods. Cut pumpkin in half and clean out the pumpkin guts. 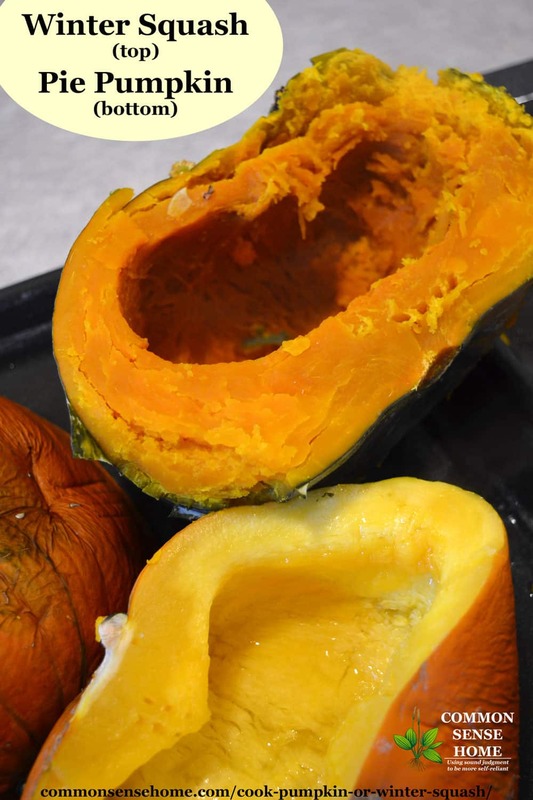 Place cut pumpkin in a microwave safe cooking dish with about an inch of water in the bottom. Cover and cook pumpkin in microwave on high for 15 minutes. Test tenderness. Microwave in 5 minute intervals until pumpkin tests done. Remove from oven, cool, scoop out flesh and puree. I usually scoop the cooked pumpkin into the food processor and puree until well blended. You can also use a blender, a stick blender or even a potato masher. Finished pumkin puree should be smooth and creamy. Sometimes winter squash is so dry that it doesn't get creamy, and you to add a little bit of water. Another option is to mix half pumpkin and half squash. How Much Puree Does One Cooked Pumpkin Make? A similar size winter squash will typically yield a little more puree. Pumpkin (squash) puree freezes well. I like to cook up a big squash (or several smaller ones), puree them all, and freeze the puree in portion sizes for the recipes that I use most. You can also store puree in the refrigerator for about a week. For tips on using the seeds, see Pepitas vs Pumpkin Seeds – Plus How to Use and Grow Pepitas. Thanks for stopping in, and I hope you find these recipes and kitchen tips helpful. Have any questions or pumpkin cooking tips? Just leave a comment below. My husband’s not much of a squash or pumpkin eater, either, but likes it well enough as a recipe ingredient. House rules are that if someone else is cooking, you lose all rights to complain about the food. 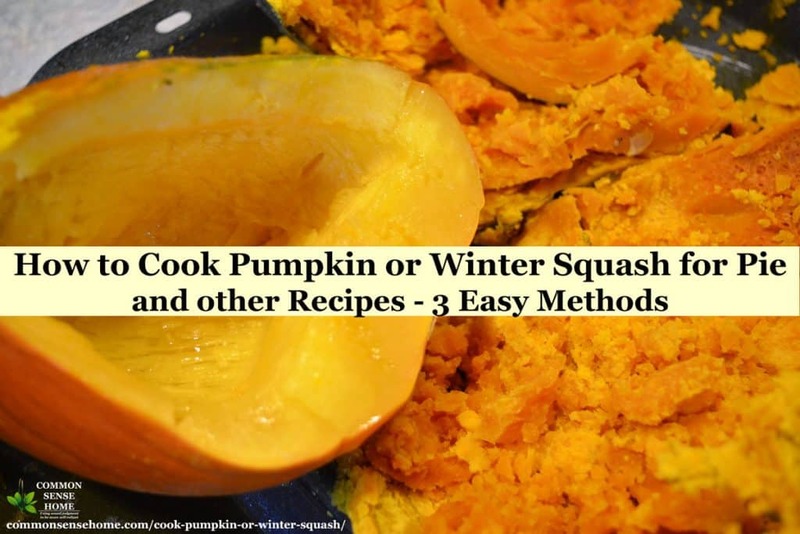 I have used spaghetti squash in pumpkin pie recipes. The texture seems novel to a ot of people, but it’s the same stuff.